Soups, soups, soups! It is cold outside and my body craves soups for warmth and comfort. In fact, I can live off soups! Indeed, I would do just that, if my faithful did not crave other foods (like the BBQ Cauliflower Wings I whipped up this week). However, since I’m the cook in the family, I get to call the shots, and still make plenty of soups. 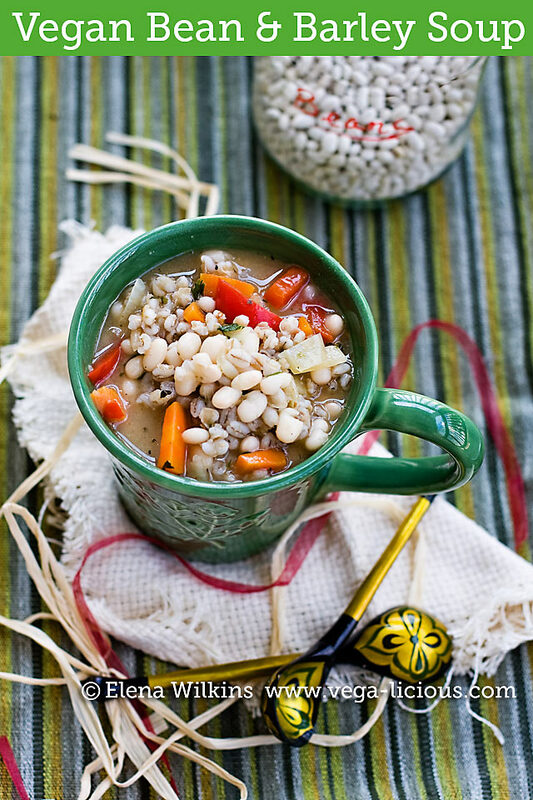 My Bean and Barley Soup is one of my favorite creations. In addition to being delicious, it also comes with more benefits–it is healthy, and will help you get (or stay) skinny! The soup is high in fiber, minerals and nutrients, making it a perfect candidate for weight loss…and taste bud enjoyment. Here it is, for you, my friend, in all of it’s soul warming, vegan, oil free glory, in case if you love soups as much as I do! 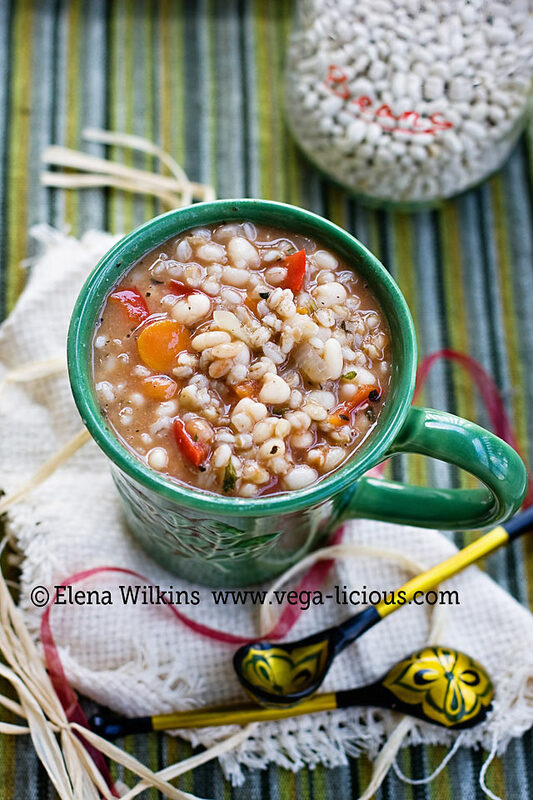 Delicious, warming and totally fat free bean and barley soup. Great for your taste buds and easy on our waist line. If you decide not to add tomato paste, your stew is going to look lighter. Have it with a slice of homemade whole wheat, no knead bread. Make it. Share it. Let me know what you think about it.